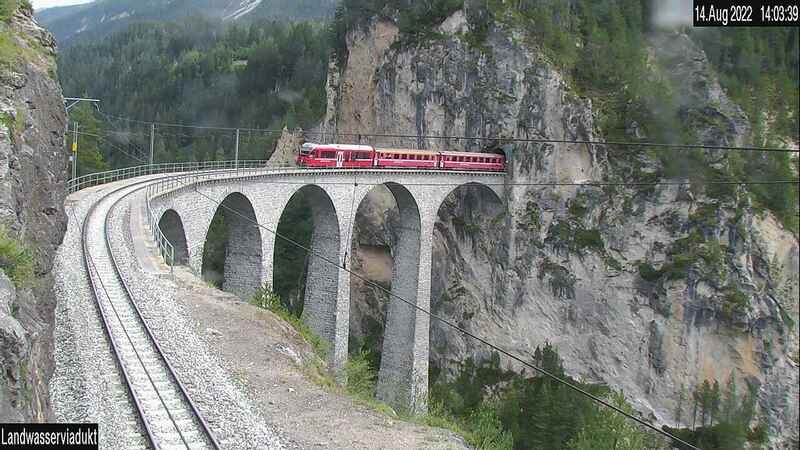 The webcam offers view of the Albula Railway Museum in Bergün. Take a look at the Brusio Circular Viaduct. This webcam shows the station of Filisur. No longer miss when a train crosses the Landwasser Viaduct. Stay up to date, as it looks on our construction site at the Albula Tunnel.